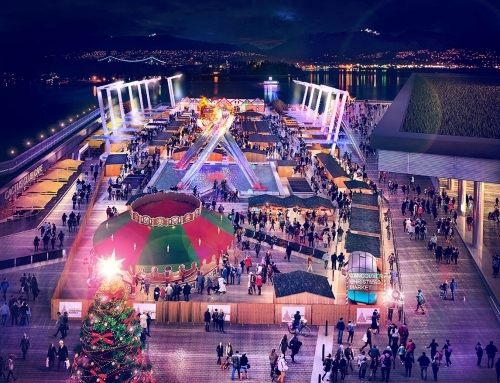 In celebration of the beloved event’s relocation and expansion to Jack Poole Plaza, the Vancouver Christmas Market will provide media with an exclusive tour of the new grounds and the new on-site attractions. The tour will include an unveiling of Canada’s first-ever Christmas Pyramid, a demonstration and tastings of the Feuerzangenbowle, on-site entertainment from The Gingerbread Men, samplings of authentic German fare, and much more. Located at 1055 Canada Place. and Jeffrey Victor, Jonathan Winsby, Brennan Cuff, Jeremy Lowe, Brandyn Eddy, Professional Singers, The Gingerbread Men.